The Western world seems to be in crisis. It is faced with huge levels of public and private debt, and the economies of the rest of the world are fast catching up. After 500 years of total global dominance, the era of Western powers could be coming to an end. 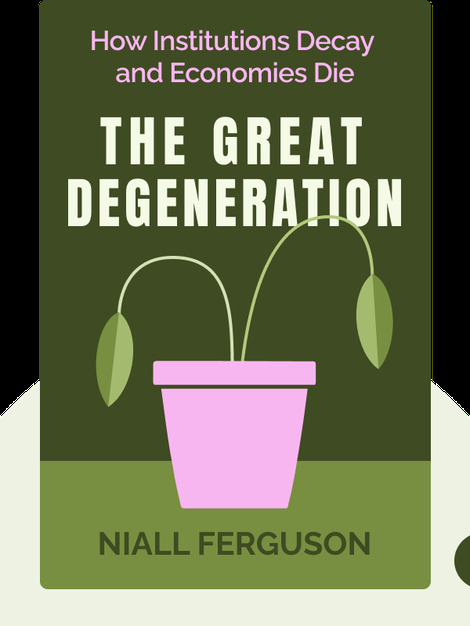 The Great Degeneration (2014) aims to tackle why this is the case. It suggests that a decline in Western institutions is partly to blame. Only by arresting this decline through radical reform can the West recover. 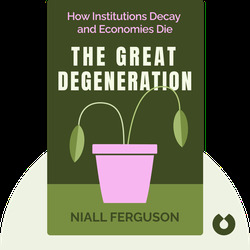 Niall Ferguson is one of the United Kingdom’s most famous and distinguished historians. He is the Laurence A. Tisch Professor of History at Harvard University. Ferguson has written numerous bestsellers including The Ascent of Money, The War of the World and Civilization. He is also well known for his many television series based on his books, and is a regular commentator for publications and networks in the United Kingdom and the United States.